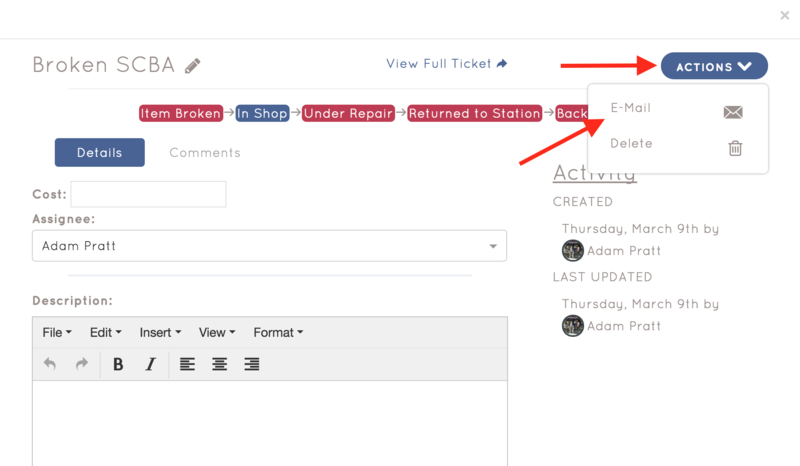 To start, you will need to have created a Workflow, and have a Ticket that you want to send. If you do not have these requirements, see the following articles first. Check out how to create a Workflow Here, and Ticket Here! How do I send someone a Ticket? From the Tickets page, find the Ticket you want to send. Click the details button at the bottom of that Ticket. Then, click the Actions button at the top right, followed by the email button from the resulting drop-down menu. Lastly, type in the email of the person you want to send the Ticket to. 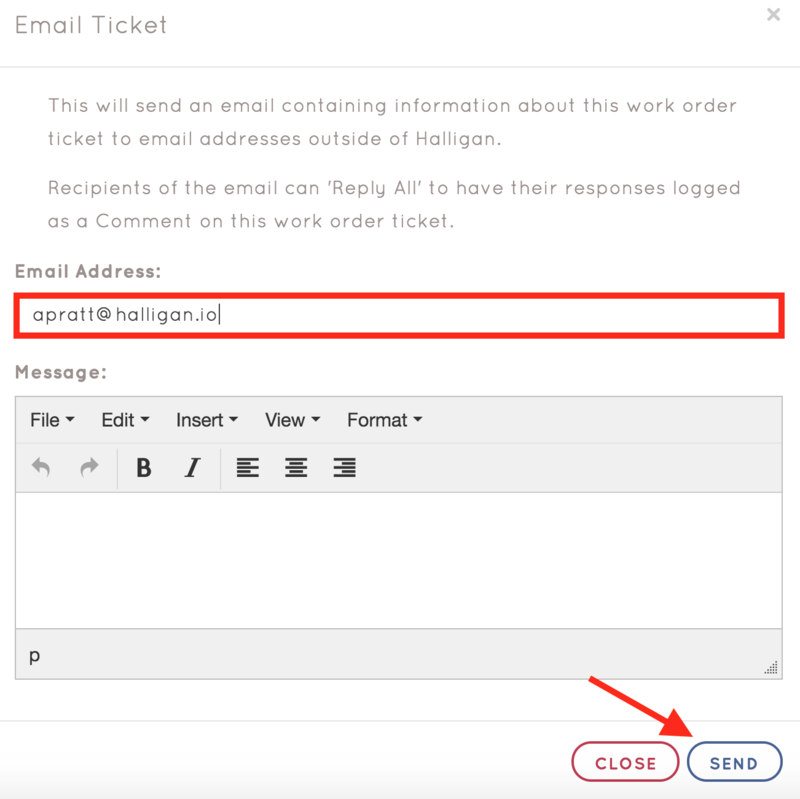 Type a message to go along with the Ticket data (optional) and click Send.